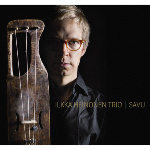 ILKKA HEINONEN TRIO: Savu – Urban Sounds of jouhikko! 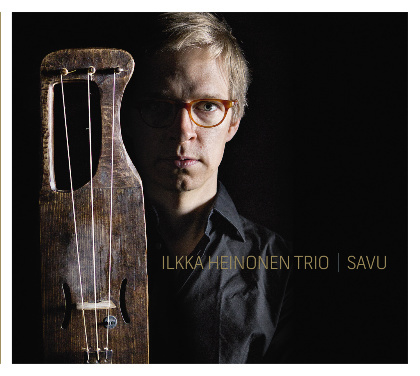 Ilkka Heinonen Trio combines the ancient sounds of the Finnish jouhikko (bowed lyre) with a diverse range of contemporary influences, pushing the instrument into exciting new musical territories. The unique combination of instruments enables the trio to explore new ground and create their own distinctive sound, drawing on elements from jazz, folk, and world music. Ilkka Heinonen Trio received very positive feedback from their showcase at Womex 2014 in Santiago de Compostela, but the band’s musicianship and improvisational power mean that the music will be appreciated alike by both world music and jazz festival audiences. Ilkka Heinonen leads from the jouhikko with echoes of old traditional melodies juxtaposed by contemporary improvisation and newly developed techniques for the instrument. Nathan Riki Thomson's double bass provides earthy grooves and subtle textures with influences from Africa to Nordic lands, all complimented by the virtuosic percussive pallet of Mikko Hassinen on drums and electronics. The members of Ilkka Heinonen Trio are all highly regarded artists in their own rite and have been heard with many world-renowned groups including: Värttinä, UMO Jazz Orchestra, Antonio Forcione Quartet, Adriano Adewale Group, Nathan Riki Thomson Subsonic Ensemble, Jouhiorkesteri, Ruuti, Teija Niku & Grupa Balkan, Eero Koivistoinen, Pepa Päivinen, Raoul Björkenheim, Severi Pyysalo, Jukka Perko, Jimi Tenor, Viktoria Tolstoy, David Liebman, Randy Weston, Tomasz Stanko and Frank Marocco, Pekko Käppi, Timo Alakotila, Johanna Juhola, Milla Viljamaa and Goeksel Baktagir. What on earth is a jouhikko? The jouhikko is an ancient bowed lyre found in Finland and Estonia. The traditional playing technique involves the musician holding the instrument in a slightly off-vertical position between the knees, whilst bowing its three strings with a hand made sisal bow. The bowed lyre survived longest in the Finnish provinces of Savo and western Karelia, as well as on the mainland of Estonia and the islands off the northwestern coast. The only information about the use of the jouhikko in Finland originates from the Provinces of Savo and Karelia where it was traditionally used as a dance instrument as well as to accompany songs.